Does little giraffe eat by himself? Of course not! Mommy giraffe is nearby. They are eating together. All the animals in this book are busy. But are they alone? Take a look! 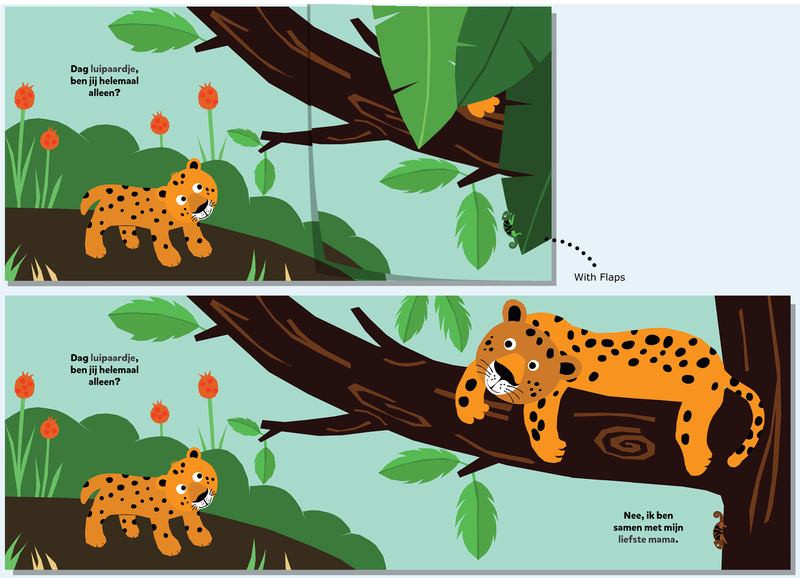 A flap book about young animals in their environment. For toddlers ages 18 months and up, with a focus on the child’s world. 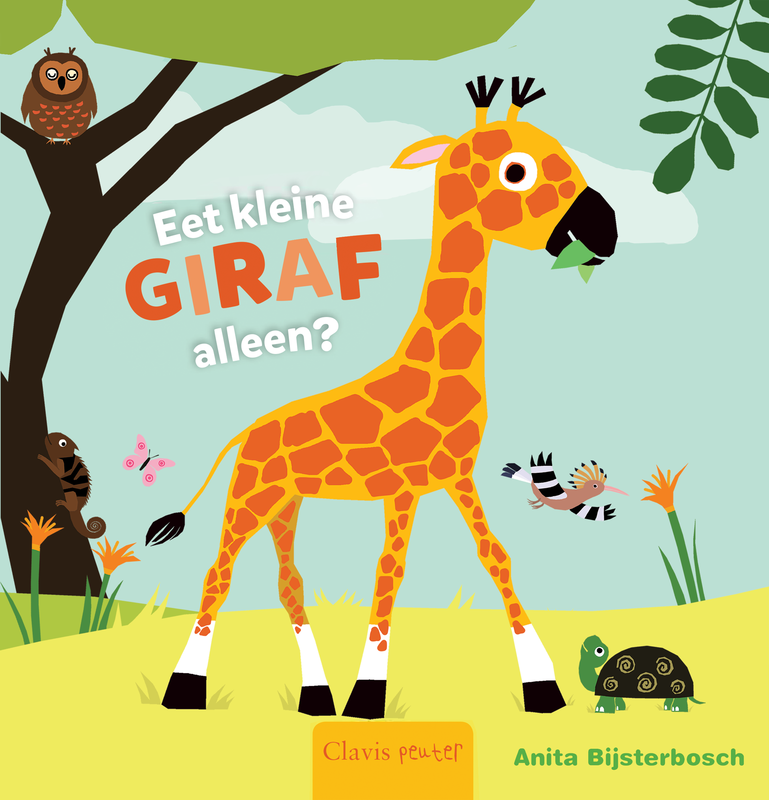 Title: Eet kleine giraffe alleen? La giraffa mangia da sola? Italy, Il Castello. Bist du ganz allein, kleine Giraffe? Germany, J.P. Bachem. Spiser den lille giraf alene? Denmark, Turbine. Does Giraffe Eat Alone? USA, Clavis Publishing.